In an earlier post, I wrote about my discovery of Epiphany as the culmination of the 12 Days of Christmas, and how I learned to treasure this holiday within my broken, blended family. But celebrating Epiphany under any circumstances is just plain fun. It’s a multi-cultural celebration that has always inspired stories, music, pageants, games, and festive meals. After all, the Three Kings came from three different cultures and continents, so there’s a lot to play around with. 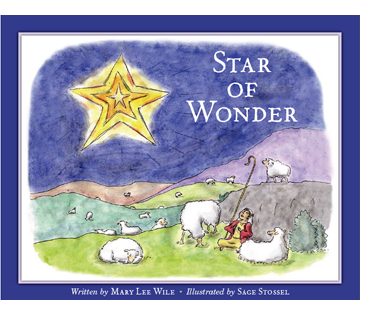 In fact, I love the season so much that in 2012 my niece and I collaborated on an Epiphany book for Forward Movement, Star of Wonder, that tells the story of a young shepherd who, on a cold, dark night, feels his heart warmed by the light of the biggest, brightest star he’s ever seen, and the sky begins to sing…. Researching Epiphany for the book’s free website made it clear: there are many ways to celebrate Epiphany! Let’s start with music: there’s an old European tradition called “star caroling” on Epiphany, where you put a star on a stick and then parade around outside, or around the house (over and under furniture perhaps), singing a verse or two of “We Three Kings” and “Rise Up, Shepherd, and Follow,” either with one person to lead the way carrying the star, or taking turns. Those following could dress in simple shepherd or king/queen costumes (extra big t-shirts tied at the waist with a scarf or necktie for shepherds, with royal capes made of towels pinned at the neck – and crowns of course – for royalty). This turns the star caroling into a homegrown pageant! Here’s a site where you can hear the tune and see the words for the familiar “We Three Kings,” and here are sites where you can see a video of “Rise Up, Shepherd, and Follow,” and another with the words. Now the food! As our former rector used to say, the sound of dishes rattles through the New Testament, and Epiphany is a particularly fun time to do some rattling. Let’s start with the Epiphany cake, sometimes called a King Cake. The simplest version involves any spice cake recipe baked round – in a tube pan or a round layer cake pan – and topped with a dairy-based frosting, anything from simple whipped cream to fancier cream cheese or sour cream frostings. It’s traditional to bake a dried bean or a whole almond into the cake, and the person who gets the bean is hailed as King or Queen and given a paper crown to wear. Here’s a fun recipe for a star-shaped Epiphany cake. Another fun food to make: crescent rolls with hidden messages. This involves rolling up lines from Scripture or from Epiphany songs or simple “fortunes” inside crescent rolls and baking them — a kind of variation on Chinese fortune cookies. Type the messages and cut them into strips. (Sample messages: you are the light of the world; rise up and follow Jesus; follow your star; God’s angels are with you; God bless your travels.) For the dough, the easiest would be to use store-bought tubes of crescent roll dough. Follow the package directions for separating the rolls, brush with melted butter, fold up a message and put it at the wide end of each triangle, then roll them up, starting at the wide end. Bake as directed. Working with homemade dough or frozen (defrosted) dough, roll the dough out into a circle about ¼ inch thick, brush with melted butter, cut the circle into 8 or 12 triangles, fold up the messages and place them at the wide end of each triangle. Roll them up, starting at the wide end, and put them on a greased cookie sheet to rise for 20 minutes or so. Preheat oven to 375. Then bake till browned, about 15-20 minutes. To include African cuisine in your menu, try this incredibly simple and delicious peanut butter soup. All you do is blend (then heat) one cup of peanut butter, one cup of milk or cream, and four cups of chicken or vegetable broth, flavored, if you like, with sautéed onions and cayenne. Or you could prepare a snack of curried peanuts by shaking a jar of dry roasted peanuts into a paper bag with a teaspoon of curry – it makes great noise as the children shake the bag, and the nuts are yummy. For more foods, a game, additional activities, some background on the season, and a brief festal meal liturgy to do at home, visit the Star of Wonder website. There are even some coloring pages for the little ones. 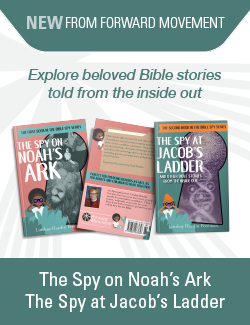 And if you have a copy of Star of Wonder, reading it to them lets them share Jesse’s discovery that God isn’t just in the bright star that brings the Three Kings to Bethlehem, but in the infant’s tiny hand. Epiphany teaches that God is both immanent and intimate. A time indeed to sing and eat and play! Does your family have Epiphany traditions? What are they? This was very informative and interesting. I have a hiymnal with a section of Epiphany songs. I read them as have never heard them sung before. Thank you so much for sharing.